Mixed political developments from the UK and Eurozone have left the Pound to Euro (GBP/EUR) exchange rate fluctuating since markets opened this week. The Pound (GBP) has been pressured by persistent ‘hard Brexit’ concerns, while the Euro (EUR) has been unable to capitalise on Sterling weakness amid market uncertainty over Italy’s 2018 general election results. Last week saw GBP/EUR plunge a cent and a half, from 1.1361 to 1.1205. The pair briefly touched a three-month-low of 1.1174 on Friday and its recovery efforts this week have been limited. GBP/EUR trended near 1.1210 on Tuesday morning. Investors have been hesitant to make any major moves on the Pound to Euro (GBP/EUR) exchange rate or shift directions on the pair, ahead of major Eurozone news due later in the week. 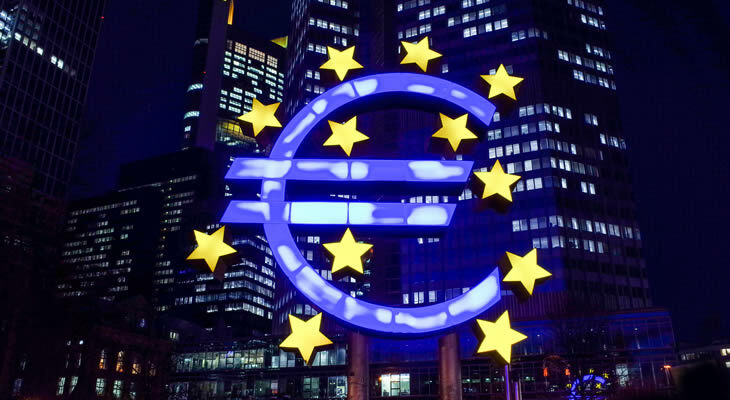 Eurozone Gross Domestic Product (GDP) projections on Wednesday and the European Central Bank’s (ECB) March policy decision on Thursday could influence the Euro outlook and as a result the currency’s movement is limited for now. Monday’s UK services PMI from Markit gave investors a support the Pound and help keep the British currency away from its worst levels against the Euro, despite concerns that the Brexit process could still end with ‘no deal’ between the UK and EU. Britain’s February services PMI was forecast to have improved just slightly, from 53 to 53.3, but instead jumped to 54.5 – the print’s best figure in four months. As a result, Britain’s overall composite PMI for February also beat expectations and came in at 54.5 too. GBP/EUR gains were highly limited though, as Pound was weighed down by the latest Brexit developments. Not only is the likelihood of a UK-EU transition period still in question, but UK officials have indicated that even if a transition period happens the government will still need to prepare for the possibility of a hard Brexit. Uncertainty in Italian politics has weighed on Euro demand since markets opened on Monday, and Eurozone data published over the last few days has not been strong enough to make the currency an appealing buy. Sunday saw Italy hold its 2018 general election. The results showed that populist parties such as the Five Star Movement had surged in popularity and no party had won enough votes to secure a majority government. With the chances of a solid coalition government still highly uncertain, investors are concerned that Italy could become more Eurosceptic and this may weigh on plans in Germany and France for greater Eurozone integration. Still, despite the political uncertainty the Euro outlook hasn’t been significantly worsened either. Investors are still generally optimistic about the Eurozone’s economic and political outlooks. Germany finally locked in a ‘grand coalition’ over the weekend, securing a fourth term for the market-popular German Chancellor Angela Merkel. Pound to Euro Forecast: How Could European Central Bank (ECB) Influence GBP/EUR Outlook? Unless there are major Brexit developments in the coming days, the Pound outlook is unlikely to change much this week and it will have little influence on the Pound to Euro (GBP/EUR) exchange rate forecast. Instead, it is Eurozone news that is likely to influence GBP/EUR, particularly if Wednesday’s Eurozone Gross Domestic Product (GDP) projections or Thursday’s European Central Bank (ECB) policy decision surprise markets in some way. If Eurozone growth beats forecasts of 2.7% year-on-year for example, it could make investors more confident that the Eurozone’s economic outlook is strong. The ECB is not expected to make any notable shifts on stance during Thursday’s policy decision, but any hint of a more hawkish change from the bank could make the Euro more appealing. On the other hand though, if the ECB expresses concern about Italian politics or even the US Presidency’s recent protectionist rhetoric, it could dampen Euro demand and make it easier for the Pound to Euro (GBP/EUR) exchange rate to climb. Next ArticleGBP/TRY Exchange Rate Forecast; Will Pound Sterling or Turkish Lira come off Worse from US Trade Tariffs?